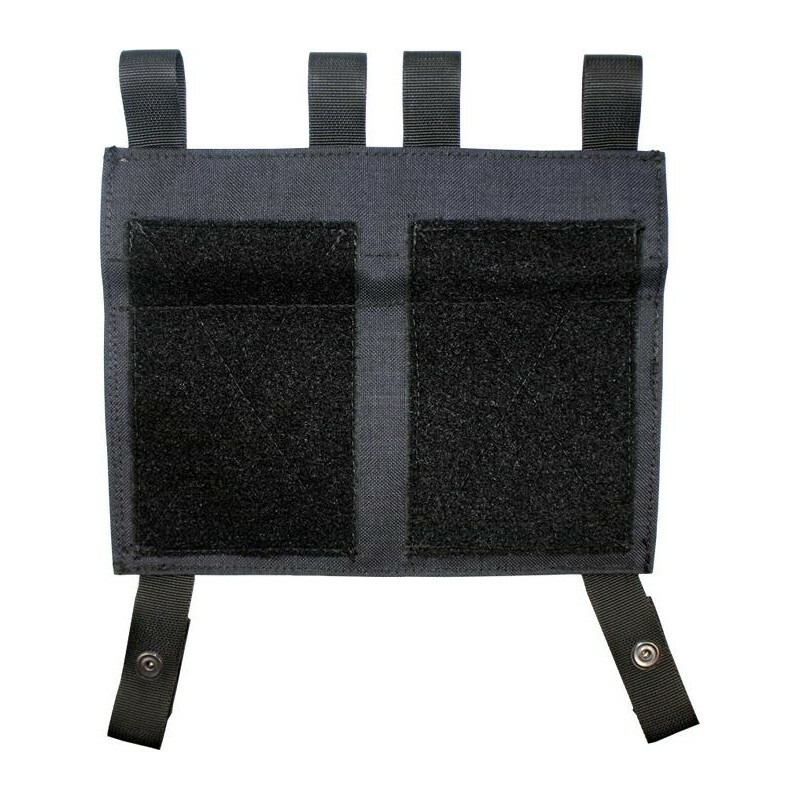 The Bib serves to complement the Chest Rig Zeus. 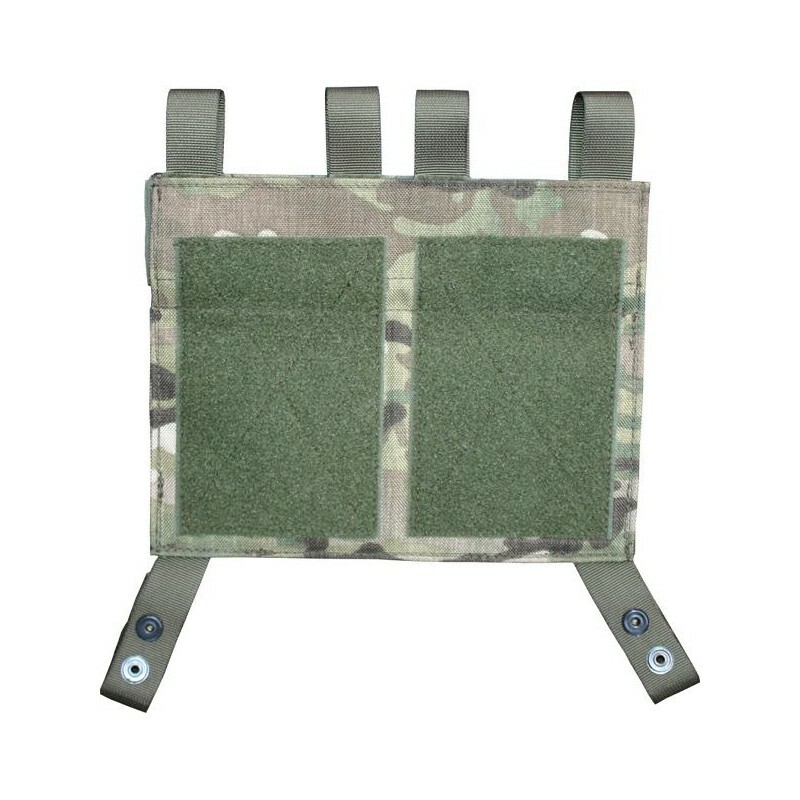 Over four velcro straps you can connect the Bib-module with the loops, provided for this purpose, to the Chest Rig. Two press studs attach the upper end to the shoulder straps. 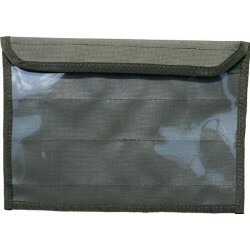 On the inside to the body there are 2 fleece-velcro surfaces, where you can attach the Window Reporting Pouch Velcro. 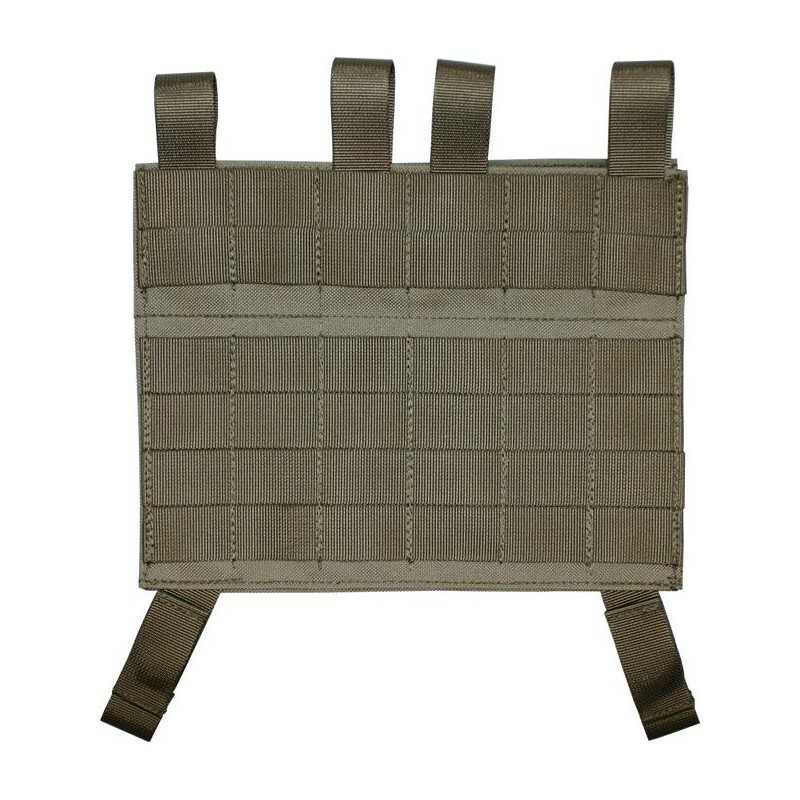 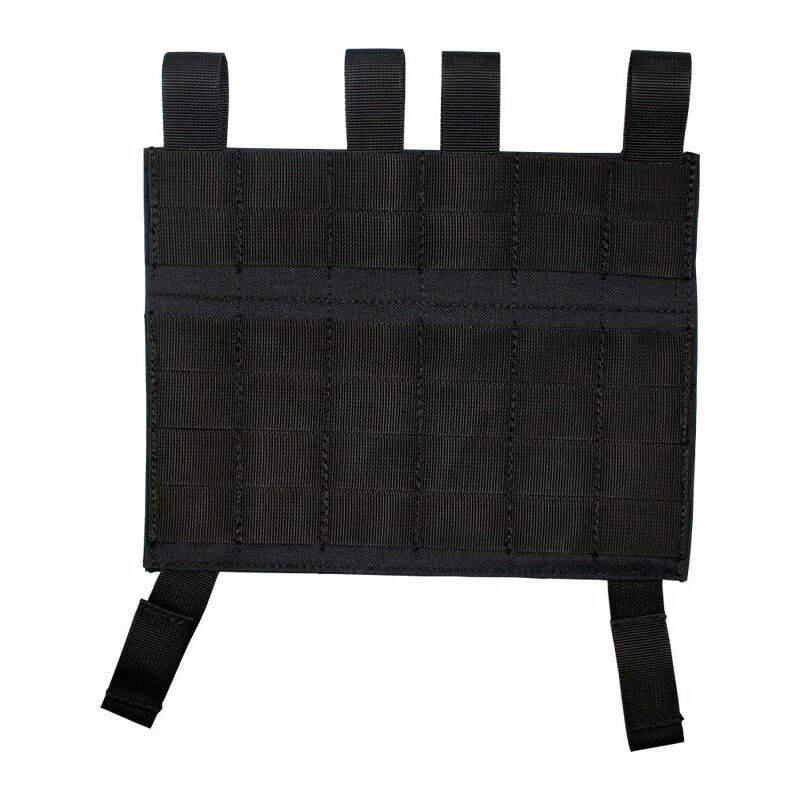 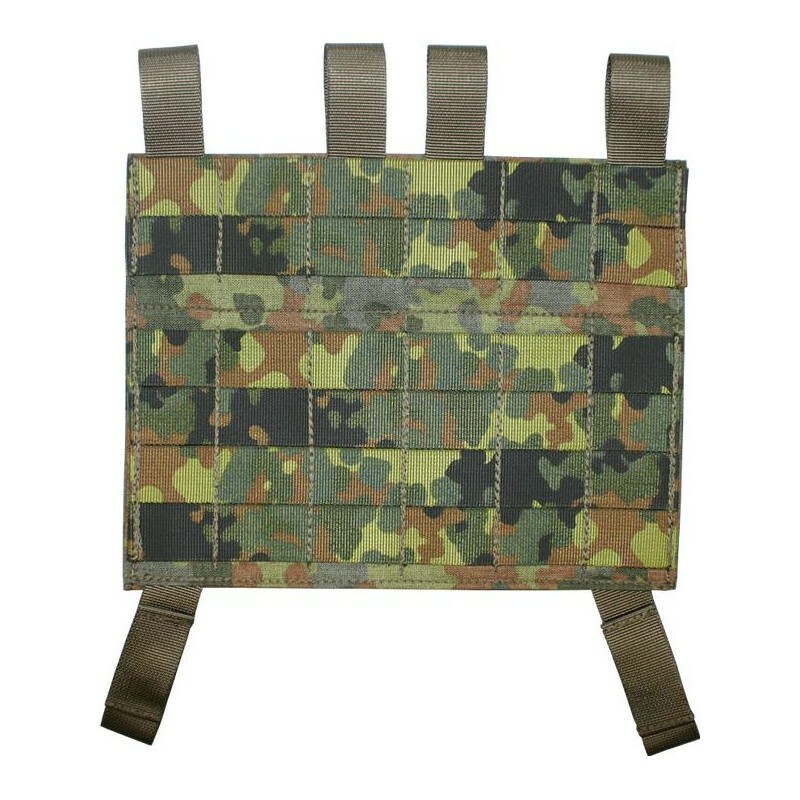 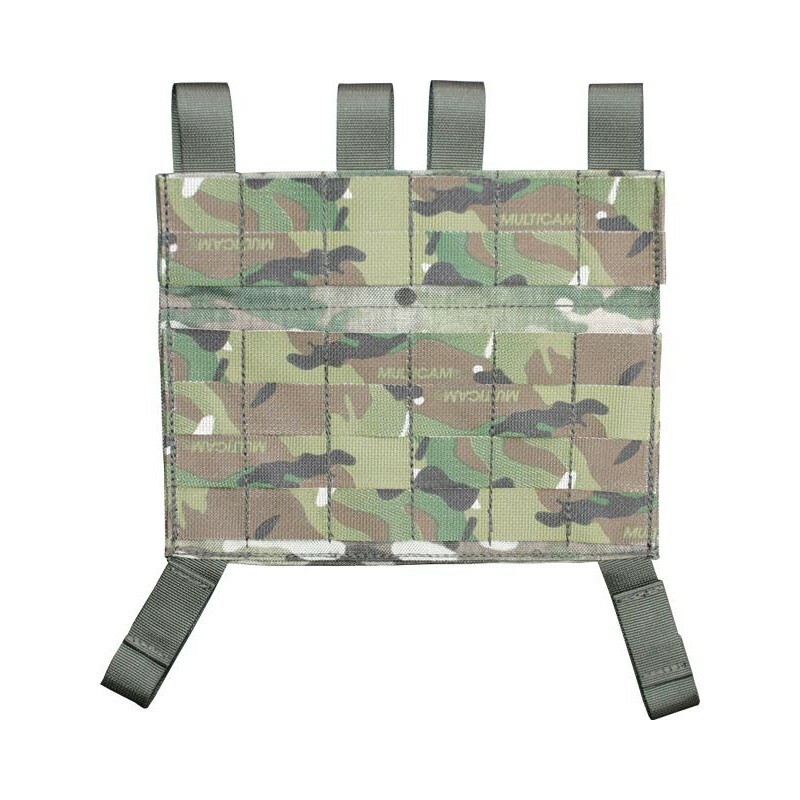 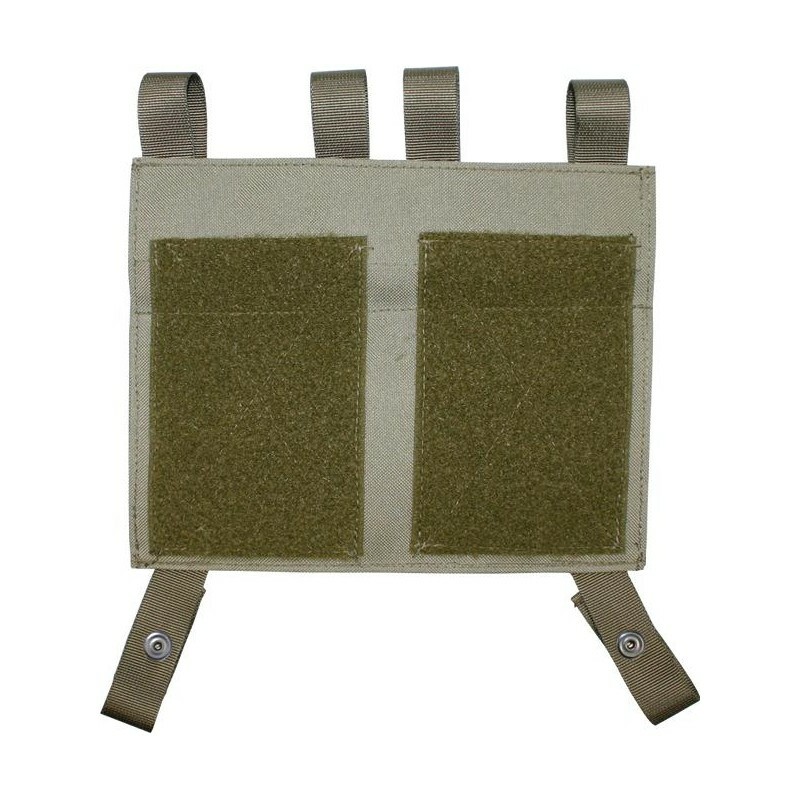 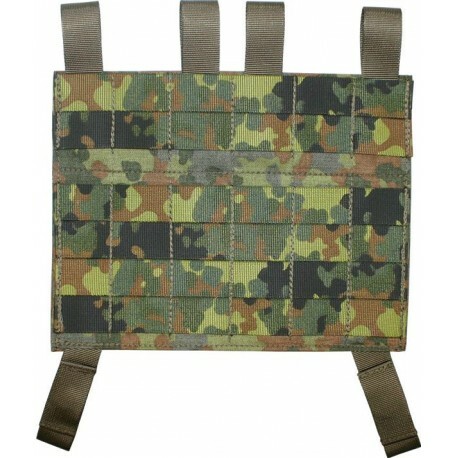 On the front there are 6 rows of 6 channels MOLLE for further attachment of equipment.